Fred Alexander was born in London in1910. He studied violin at the Guildhall School of Music until the death of his father made it necessary for him to find a way to supplement the family income. He decided to use his musical talents by playing in the local cinema. Initially he was an apprentice for the princely sum of five shillings per week but, at the tender age of 16, he was quickly promoted to the post of Musical Director at a new Super cinema in London Fields. By the time he was 18 Fred was Musical Director at the Watford Super Cinema, but the talkies were arriving and it was not long before the only music required was for big stage shows. This was not the only time in the 20th century that progress was to oust art! For several years, with the door shut on cinema work, Fred resumed his studies, this time with the well-known teacher Sasha Lasserson. 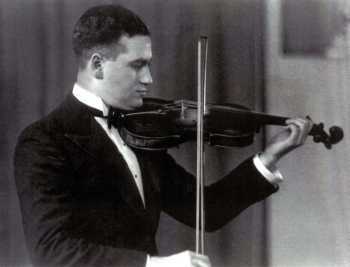 He then started doing session work and around 1936 joined a broadcasting combination called The Karl Kaylus Players in the capacity of solo violin. When guitarist Karl Kaylus became disenchanted with the group and left, Fred Alexander, realising its potential, took over as Musical Director. Although initially retaining its original name, it was not long before the group became Fred Alexander and his Players. This combinations broadcasting was destined to span four decades. During the Second World War, Fred served in the Royal Artillery, playing in their famous orchestra, but after being invalided out at the end of hostilities, he resumed free-lance work (as well as directing his players). Fred played in the Harry Fryer Orchestra, one of radio's most frequently heard orchestras, but in 1946 Fryer became terminally ill and it fell to Fred to conduct the orchestra's last broadcasts. With Fryer's death, the orchestra would have ceased to exist but, once again, Fred's preservation instinct came into play and he thought of a way to keep the orchestra going, at least for radio. After discussions with the BBC, he formed the Portland Light Orchestra, consisting largely of members of the Harry Fryer Orchestra. Over the next few years, this 32-piece orchestra played many times in programmes such as 'Strike Up The Band' and 'Morning Music', not forgetting 33 editions of 'Music While You Work', for which the size of the orchestra had to be reduced in order to keep within the shows budget! After a few years, however, the orchestra's broadcasts fizzled out, though Fred Alexanders Players continued to receive regular airings. Their instrumentation was violin, cello, accordion, piano, guitar, bass and percussion and included top instrumentalists such as Henry Krein, Edward Rubach, Billy Bell and Henry Elman (brother of orchestra leader Ralph Elman). Fred tells me that in the early fifties he did theatrical work, leading the orchestra for the Cicely Courtneidge show 'Gays the Word', and then working for Jack Hylton in 'Paint Your Wagon' and 'Pal Joey'. Unfortunately, Fred had to forsake theatre work because of the increasing demands of session work. In the BBC studios he regularly played for Anton, Michaeloff, Harold Collins, Bernard Monshin, Harold C. Gee, Sidney Bowman and Les Perry as well as accompanying top vocalists as diverse as Gigli, Frankie Vaughan and Petula Clark. 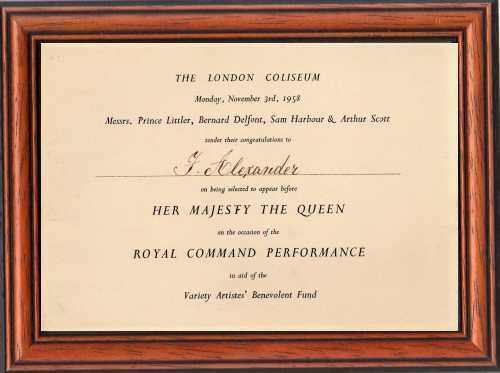 During the post-war years, Fred Alexander and his Players were regularly broadcasting, often in daily shows such as 'Bright and Early' and 'Morning Music'. Between 1955 and 1965 the ensemble chalked up 90 editions of MWYW. Fred was also a composer and his paso doble 'Sarda', written under the pseudonym of Allesandro, became quite a favourite. Most of the light music ensembles, including Fred's, were withdrawn from broadcasting in the mid-sixties, but Fred continued with session work into the seventies, becoming leader and orchestral manager of the Johnny Patrick Orchestra in televisions 'New Faces' talent show. 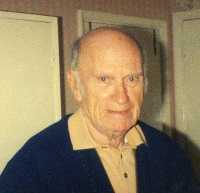 Fred Alexander spent his retirement years in Worthing, on the South Coast of England, where he died on September 12th. 2007 aged 97.
as broadcast on 23rd July 1962.